Terry Tempest Williams has been called "a citizen writer," a writer who speaks and speaks out eloquently on behalf of an ethical stance toward life. A naturalist and fierce advocate for freedom of speech, she has consistently shown us how environmental issues are social issues that ultimately become matters of justice. "So here is my question," she asks, "what might a different kind of power look like, feel like, and can power be redistributed equitably even beyond our own species?" Williams, like her writing, cannot be categorized. She has testified before Congress on women’s health issues, been a guest at the White House, has camped in the remote regions of Utah and Alaska wildernesses and worked as "a barefoot artist" in Rwanda. Known for her impassioned and lyrical prose, Terry Tempest Williams is the author of the environmental literature classic, Refuge: An Unnatural History of Family and Place; An Unspoken Hunger: Stories from the Field; Desert Quartet; Leap; Red: Passion and Patience in the Desert; The Open Space of Democracy; and Finding Beauty in a Broken World. Her book, When Women Were Birds was published in Spring 2012 by Sarah Crichton Books/Farrar, Straus and Giroux. She is a columnist for the magazine The Progressive. She also wrote The Story of My Heart by Richard Jeffries, as rediscovered by Brooke Williams and Terry Tempest Williams (Torrey House Press), in which she and Brooke Williams expand upon the 1883 book by Richard Jeffries. 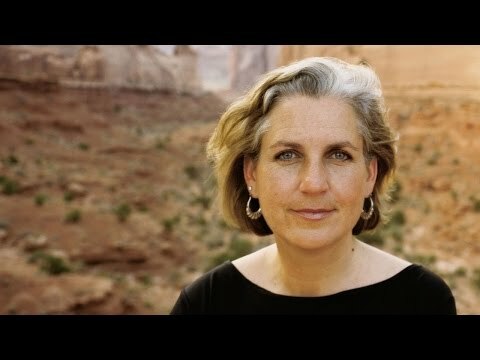 Her book, The Hour of Land: A Personal Topography of America’s National Parks, honored the centennial of the National Park Service, was a New York Times bestseller, and also won the Mountains & Plains Independent Booksellers Association 2016 Reading the West Book Award. Her next book will be Erosion: Essays of Undoing (Fall 2019, Farrar, Straus & Giroux). In 2006, Williams received the Robert Marshall Award from The Wilderness Society, their highest honor given to an American citizen. She also received the Distinguished Achievement Award from the Western American Literature Association and the Wallace Stegner Award given by The Center for the American West. She is the recipient of a Lannan Literary Fellowship and a John Simon Guggenheim Fellowship in creative nonfiction. 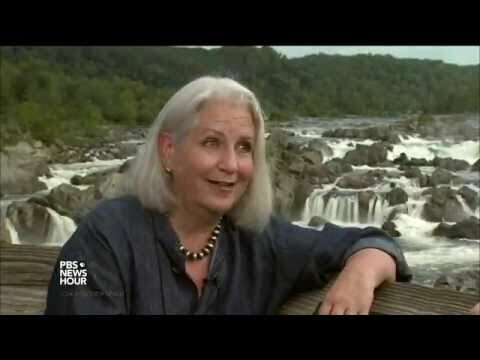 In 2009, Terry Tempest Williams was featured in Ken Burns' PBS series on the national parks. In 2014, on the 50th Anniversary of the Wilderness Act, Ms. Williams received the Sierra Club’s John Muir Award honoring a distinguished record of leadership in American conservation. Williams also received the 2017 Audubon New York Award for Environmental Writing. 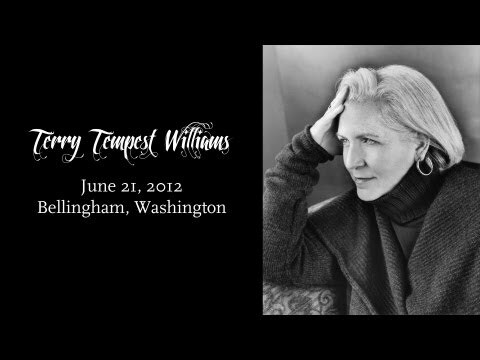 In 2019 Terry Tempest Williams was given The Robert Kirsch Award, a lifetime achievement prize given to a writer with a substantial connection to the American West and was also elected as a member into the American Academy of Arts and Letters. 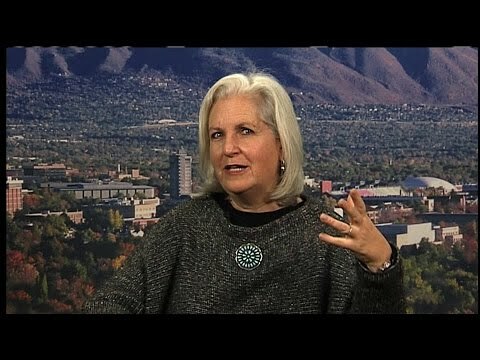 Terry Tempest Williams has served as the Annie Clark Tanner Fellow in the University of Utah’s Environmental Humanities Graduate Program which she co-founded in 2004; and was the Provostial Scholar at Dartmouth College, serving as a Montgomery Fellow twice. Williams was writer-in-residence at the Harvard Divinity School for the 2017-18 academic year. Her writing has appeared in The New Yorker, The New York Times, Orion Magazine, and numerous anthologies worldwide as a crucial voice for ecological consciousness and social change. She and her husband, Brooke Williams, divide their time between Castle Valley, Utah and Jackson Hole, Wyoming.